Meatballs recipe how to make delicious beef, delicious and delicious . 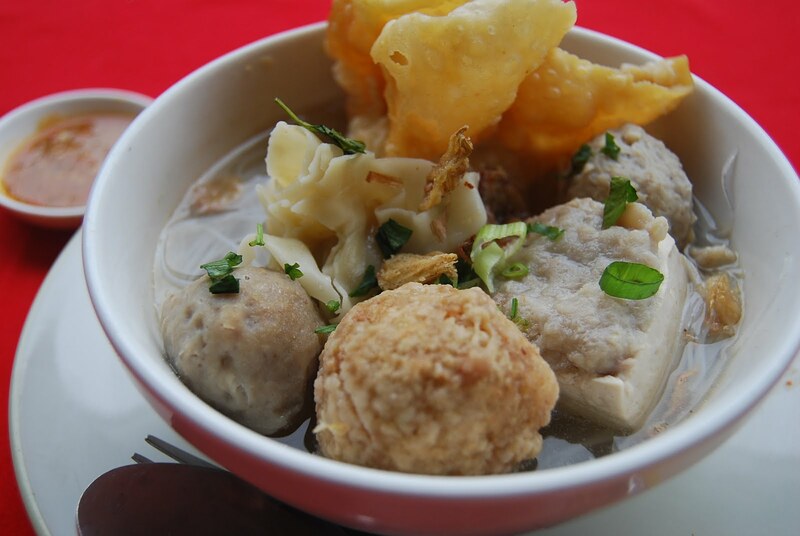 Just like usual, meatballs until now anyway so most people's favorite food in Indonesia. Both women, men, children and older people and there are many who are happy with the name of meatballs, beef meatballs first. Beef flavor artifacts on spheres / balls bulb is indeed typical of the cuisine no longer be forgotten. As well might make you addicted in other words addiction. How to make tasty beef meatballs in fact too easy, some of the necessary materials and can be called quite simple and easily obtained. I believe mothers or home course ya can to make meatballs. Yup today's time try to practice well soon, prepare some material follows. Garlic puree, please mashed or blender. Mix the mashed garlic into the mixture of ground beef, pepper, salt, flavorings, as well as starch. Once the dough is well blended into the next form the dots by hand according to the size you want, keep the size is not much too large to be able to mature more evenly and quickly. Well here I am sure you can to make meatballs sphere. Enter the circle you make meatballs into hot water, then boil in boiling water until cooked. Mature meatballs sign is floating on the surface of the boiling water. The boiling process usually takes 10-15 minutes. Lift the meatballs have been cooked and drained at room temperature. Boil the water with the bone and all the ingredients to a boil and become mature bone. If it is cooked, reduce the heat and then you are able to present the meatballs with gravy. Well so was a recipe and ingredients how to make meatballs that are delicious and suitable to serve with your family when still warm. And will be more delicious if you add know, celery and others so that you make meatballs more interesting to eat. Hopefully success to make meatballs . 0 Response to "RAHASIA DAN CARA MEMBUAT BAKSO DAGING YANG LEZAT DAN ENAK "